1+2 have added a new internal bridge and external lift to one of Hobart's most striking residences completed by Brian Wyatt in 2002. 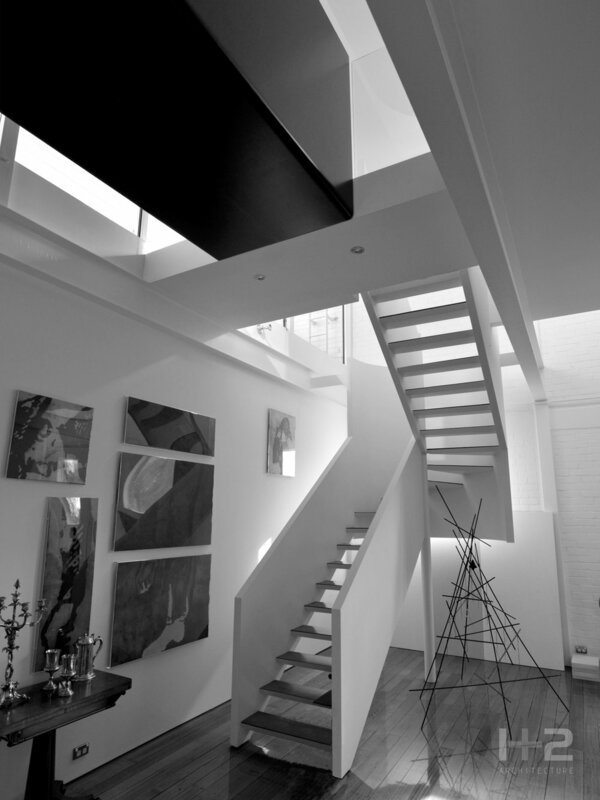 A folded black steel bridge floats through the space in contrast to the crisp whiteness of the existing interior. 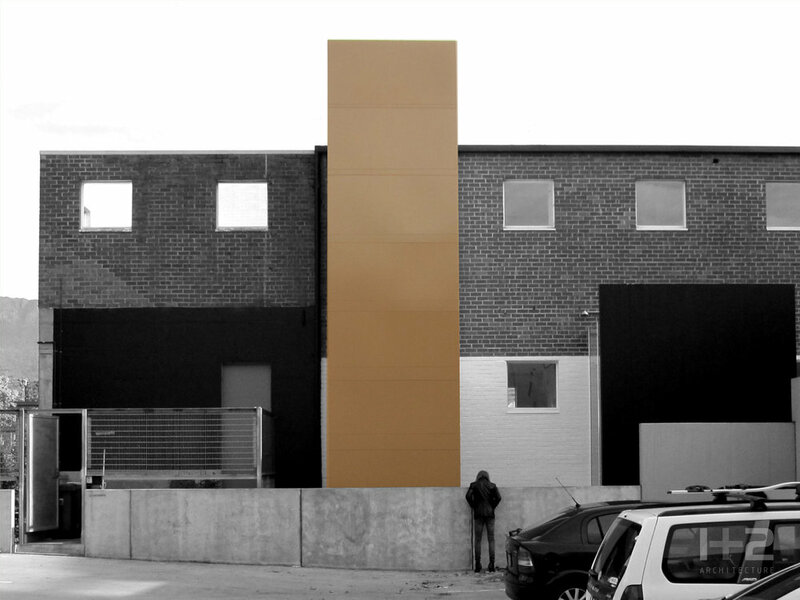 Externally, the folded mustard steel cladding of the new lift shaft contributes to a new reading of the building in elevation.